Launched in 2009, Ayondo has grown out of its German base to now be a provider of Social Trading on a global Scale. 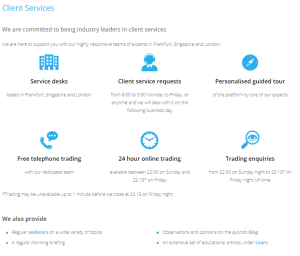 It now has offices in London, Frankfurt, Madrid, Singapore and Zug and 43,000 active clients. To date it has won 19 international awards and the achieved these by following the seemingly simple aim of connecting investors with Top Traders. One of the smaller operators in the space it has successfully carved out a niche in the sector and attracts investors looking for quality and service. The bid-offer spreads offered by the self-trading area of the Ayondo platform are in-line with the average for the sector. 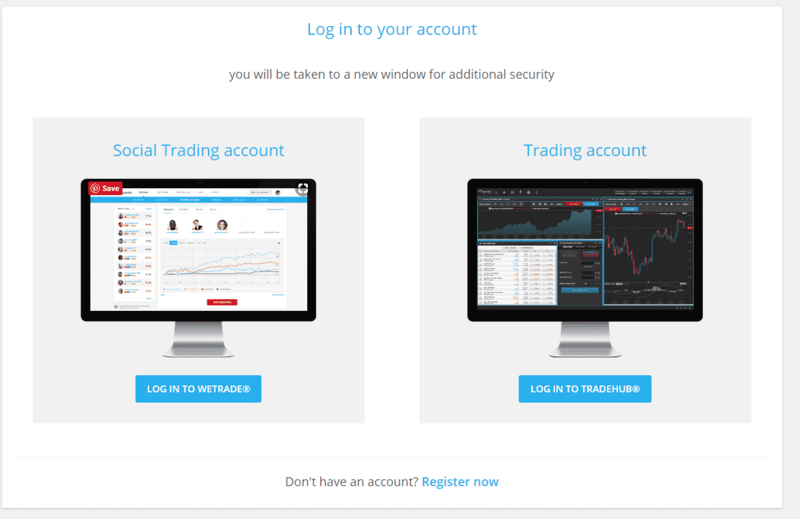 On the Social Trading area of the platform, there are two pricing models that apply to accounts following a Top Trader. Some use a Volume Based pricing structure and the others use a Performance-Based approach. Follower fees working on the Performance-Based approach include a management fee and performance fee. The management fee is 1% per annum calculated on the amount of capital allocated to the Top Trader; the performance fee is 25% of profits made above the High Water Mark. Volume-based fees involve a 1 Eurocent charge being applied per signal (opening/closing of a position). Our searches and filtering of Top Traders suggested that the majority of them have adopted the Volume Based model. Financing fees also apply. Overnight charges are calculated using the relevant interbank rate + 3%. Short sales on non-FX products might receive an interest credit. There are also possible fees relating to inactive accounts but as these don’t kick in until the account has been dormant for 180 days are simply a way of incentivizing best practice among account holders. The pricing schedules are clearly laid out which is always welcome. Having client accounts held in-house, rather than away at another third party broker also aids transparency as fees will all be posted in one place. Slippage, which is the difference between the Traders executed price and the Followers executed price, is a frictional cost associated with social/copy trading. By providing a structure where both the leading and following account use the same platform there is less chance of slippage occurring. To put it another way, the latency on the buy/sell signal is decreased by keeping the activity in-house. Slippage needs to be monitored, but the structure of the Ayondo platform helps and test trades suggest that what slippage that exists is minimal in size, often limited to one pip. One further note on Social Trading fees in general and one that applies to all platforms in the sector is that Lead Traders can attract investors with one type of trading but then adjust the strategy. This might even be because a Trader that adopts a Performance-Based remuneration scheme and makes top tier returns, could feasibly scale back the risk-return of the strategy once that they have enough followers paying a management fee. 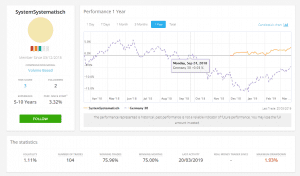 By going on to post steadier trading returns they are less likely to attract new followers but also to not lose followers who are now a useful income stream. Investors need to monitor their portfolios and manage this risk. Spoiler Alert! Whilst registering for accounts we found a few glitches in the Ayondo site. These are noted below in the Ease of Use section; but once we did get past the on-boarding stage the Ayondo platform was a real pleasure to use. A fairly standard but by no means mind-blowing range of instruments are available to trade. 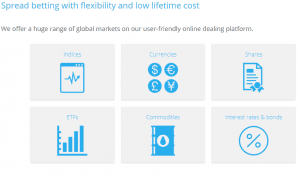 They are available in Spread betting and CFD format, which is particularly beneficial for UK traders, and would likely be sufficient for most traders purposes. One of the main selling points of the Ayondo platform is the ability to follow a Top Trader and investors in our opinion would be expected to be agnostic to what market that trader is actually active in, and more concerned about the track record. Considering some traders forge a career out of trading one particular instrument (e.g. 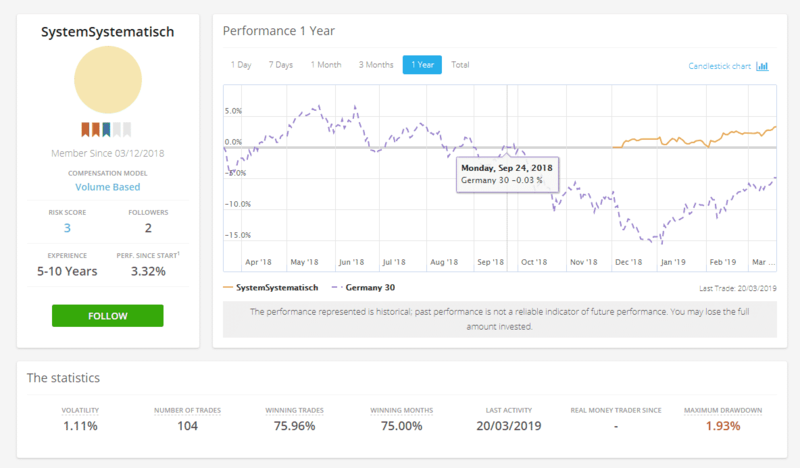 short-dated German Government Bonds or a currency pair) anyone looking to follow a trader would be better placed analyzing a trader’s returns, Sharpe ratio and length of track record. 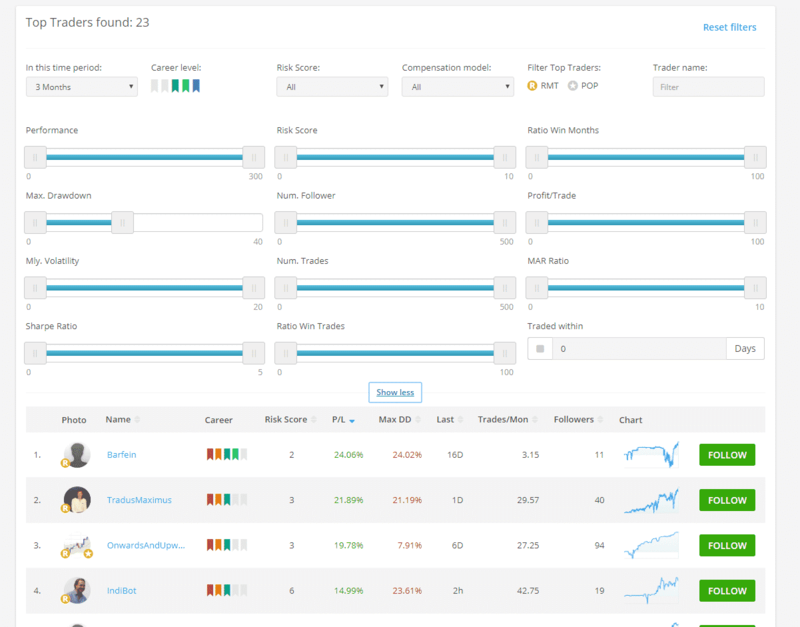 The filters on the social trading platform were just what we wanted to use to research and analyse the Top Traders. The Advanced Filter section still managed to keep a crisp and clean appearance despite adding a wider range of parameters, all of which were useful. 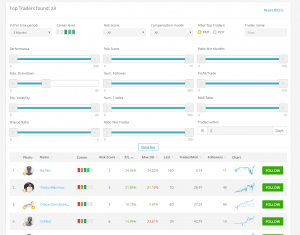 Using the quick search allowed for a fast but considered review of Top Traders. Whilst the total number of Traders to choose from is less than on other platforms we didn’t feel restricted at all and in fact probably preferred navigating through a smaller database. 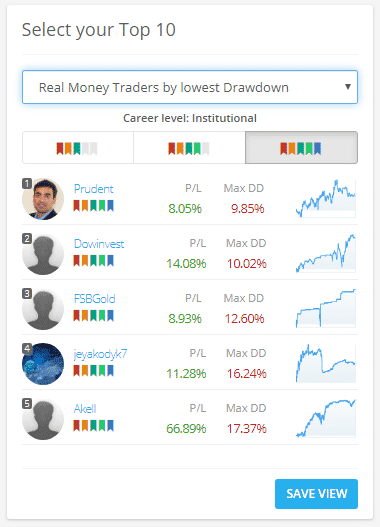 One filter we particularly liked was: Recently Upgraded Top Traders. 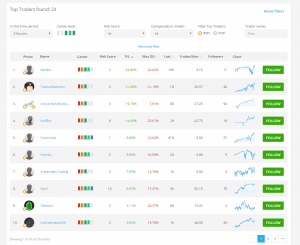 It was beneficial to have in one place all those traders that might be able to put forward an argument that their strategy was the best one to run in current market conditions. Another neat feature was the ability to adjust the amount of leverage applied to the account. 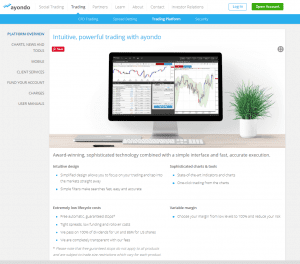 The functionality of the Social Trading account platform WeTrade is a large part of what makes Ayondo stand out. It’s here that you get a real appreciation of the service being FinTech in nature. The self-directed trading platform, TradeHub is similar in style. Intuitive, agile and easy to customize it has all the tools (such as guaranteed stop losses) that one would need to trade. Both platforms ultimately serve a different type of trading but still share the same great feel and pleasing aesthetic. During our testing we found the customer support to be of exceptionally high quality. Telephone help desk staff understood and addressed our issues with ease. Something that Ayondo offer and a lot of other brokers don’t is a Remote Access Tool. Whilst telephone trading support is available on a 24/5 basis the actual help desk is manned during office hours Monday – Friday. 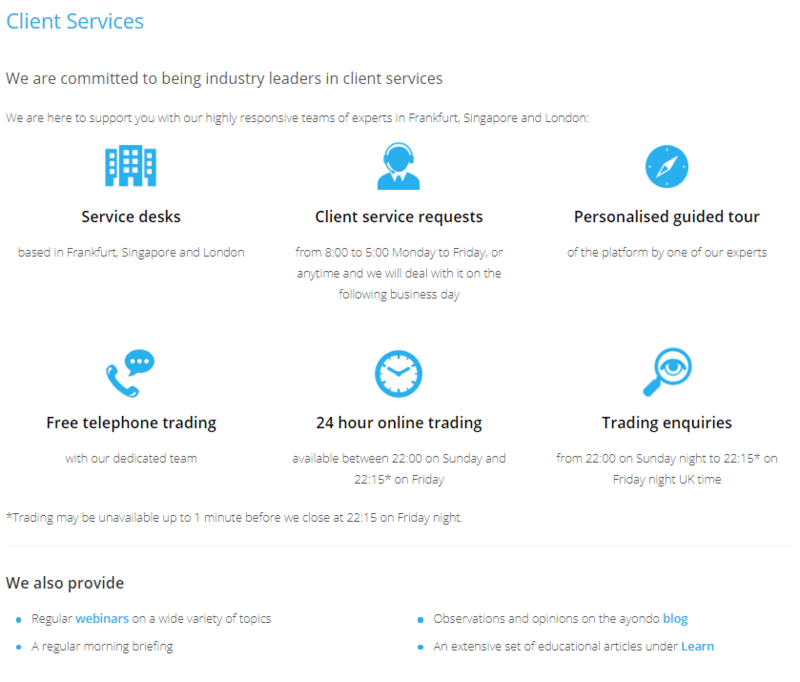 Our experience of this kind of coverage is that any questions that occur in the middle of the night can usually be resolved by the ‘trading desk’ who offer a general as well as trading support. Technically speaking though, help desk support is only offered during office hours and this counts against Ayondo. Ayondo provides a similar amount of research and learning materials to other smaller brokers. Whilst they are no means market leaders there are sections along the lines of ‘How things work’, FAQs, Glossary and webinars. There is also a Calendar function (‘Useful Dates’) and TradeHub features a 24/7 newsfeed. The amount of research and learning is disappointing. Considering that Ayondo has some unique selling points we are sure they could do better in this area. One improvement would be developing an online forum where investors and traders could share ideas on trading and the markets. Ayondo offers two different types of account which ultimately is a really positive feature. During our testing, however, we found it hard to establish the difference between these accounts as it wasn’t clearly outlined on the website. The telephone help desk staff we spoke with to discuss this were by contrast extremely good at explaining the situation. Whilst this earns points for the Customer Support team, we do have to mention our need to call them. 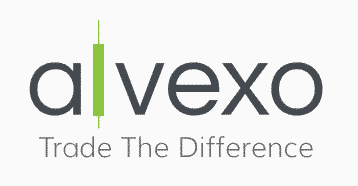 The Follower/Copy accounts allow users to follow between 1-5 traders and trade on their own account, for example, take a position in a CFD equity. Someone setting up the Self-Directed account would not be able to follow the Top Traders but can trade the markets on a stand-alone basis. Setting up two accounts, one of each type is possible and funds can be transferred easily between the two simply by sending Ayondo an email request. The main reason for setting up two accounts would be that there are improved trading spreads and financing fees to be found in the Self-Directed (only) accounts. Minimum account balances for the Self-Directed account are £1 and in the Follower-Copy account, they are £2,000. 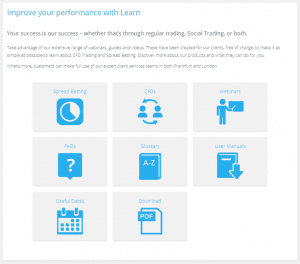 The £2,000 requirement for social trading is higher than at other platforms but is not an unrealistic figure in terms of what is really needed to trade those strategies. 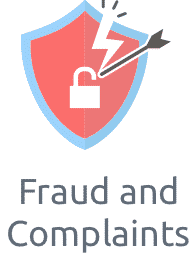 It’s possible to fund the account in a variety of ways including bank transfer and debit/credit card. The Follower-Copy Demo account is free to use but available for only three weeks. Considering the relatively long-term investment horizons of some of the traders the time restriction appears to us to be a little bit heavy-handed. 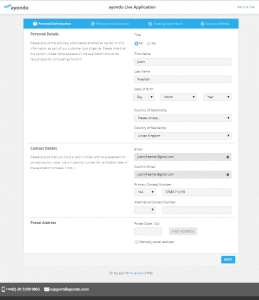 Setting up a Demo account is very straightforward, once you’ve found the link to it. The front pages of the site actively direct interested parties to a Live Account rather than a Demo version and after several failed attempts to find it we had to call the help desk where a team member, very professionally, helped us navigate to the link. Asking if we were alone in experiencing this problem it was explained that it’s a frequently asked question. 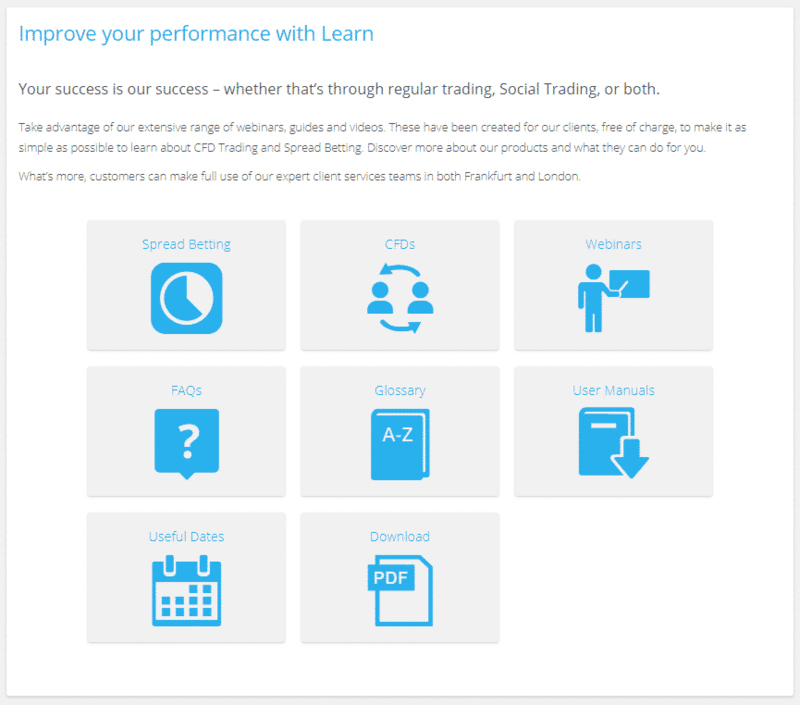 The registration questionnaire for the Live account took very little time to complete and reassuringly did ask appropriate and pertinent questions which then guided us to traders with strategies to match our personal preferences. Profiling in the Demo version is processed by using sliding scales based on a range of parameters. It was convenient to have all the dials on show, rather than in the form of a sequence of questions and it was easy to make subsequent changes to our profiles. The mobile trading platform seamlessly mirrors the desktop version. Available through dedicated Apps or browser windows it’s fast, intuitive and easy to use. All the features found on desktop are on the mobile version. 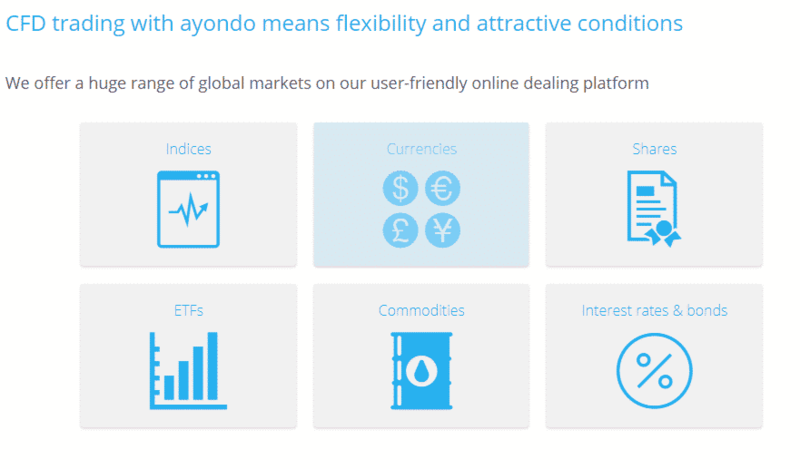 The social trading offered by Ayondo would suit those investors looking to incorporate exposure to the markets into a flexible lifestyle. Hands-off styles of trading can of course also involve traders running their own algorithmic models. 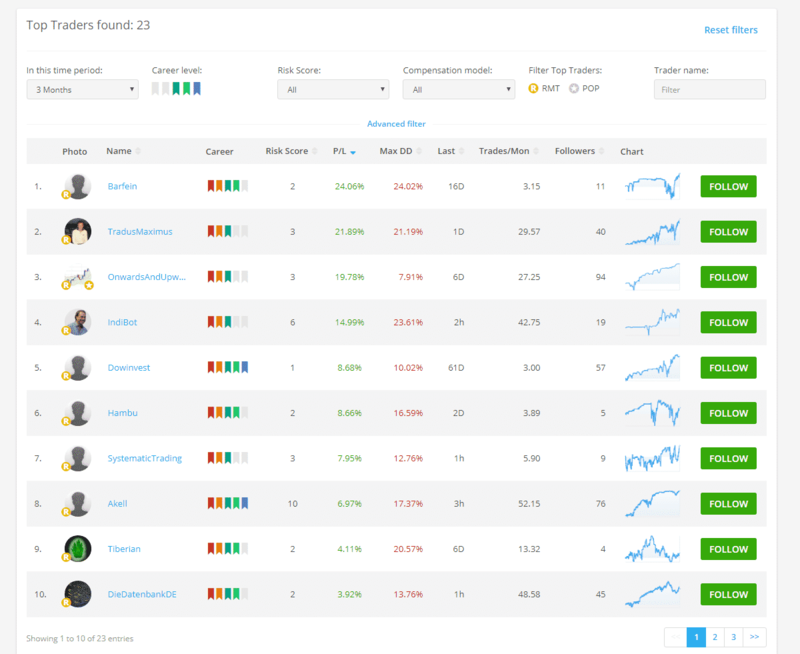 This second style of automated trading is not yet possible at Ayondo due to the lack of an interface into the platform. There are reassuring sounds that this situation is soon to change through the use of a connection to MetaTrader; but for now at least, systematic traders will need to look elsewhere. Whilst there are some areas where Ayondo could make improvements; in terms of Regulatory compliance and account security, they are notably strong. Even though they are relatively small in size they have been listed on the ‘Catalyst’ board of the Singapore Exchange Securities Trading Limited since March 2018; with all the reporting conditions that this entails. Right at the outset, they appear to appreciate that account holders, quite rightly, ought to value being able to ‘trust’ their broker. 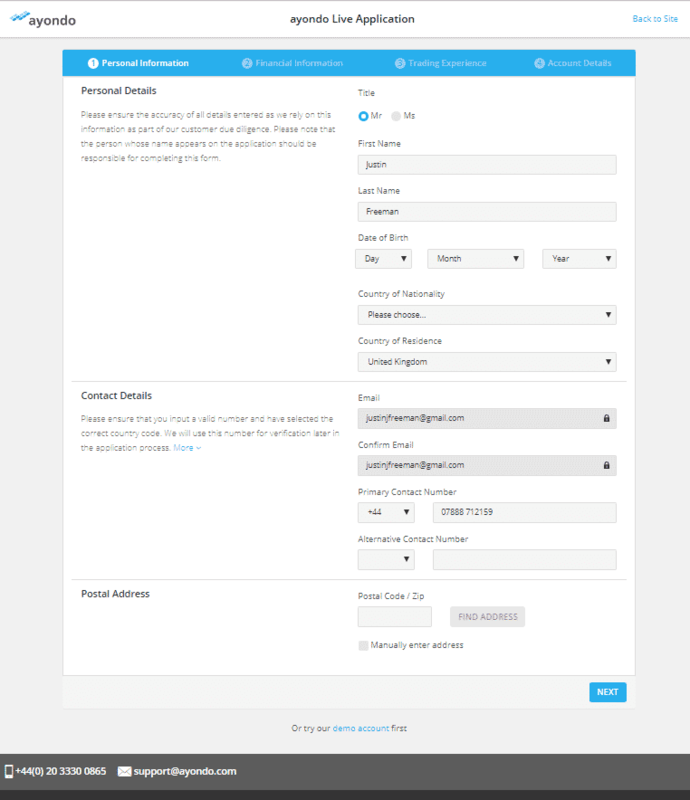 The ‘Get Started’ page of the demo account even devotes screen space to a series of features that have been put in place. 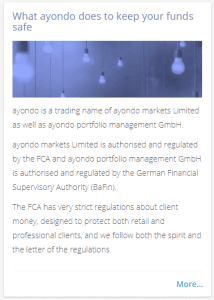 Being authorized and regulated by the FCA in the UK means Ayondo has to comply with Segregated account regulations and investors capital is further protected by the platforms Negative Balance Protection policy and there’s even an extra tranche of Client Money insurance. Ayondo is a small broker with a professional feel and has developed something of a niche in the market. The site is easy to navigate and the very user-friendly trading platform means it would be a good candidate for any newer trader looking to try out the concept. Accepting that you can’t please all of the people, all of the time, can actually prove liberating. 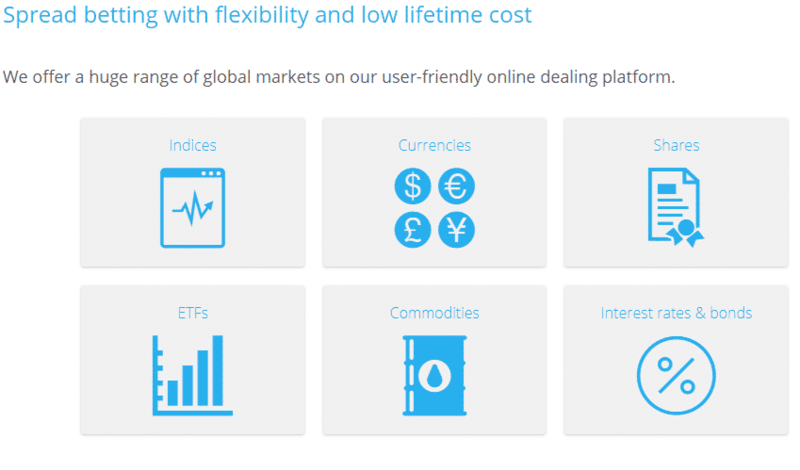 The platform contains a lot of distinctive and nice-to-have features and it ticks a lot of boxes for those looking for a particular style of trading but Ayondo has with confidence, approached the need to make trade offs. It doesn’t currently offer automated trading; but some investors prefer to place funds with non-EA traders. The number of traders available to follow is smaller than some other platforms; but a relatively large percentage of those are trading their own money. There are management and performance fees due to traders that you follow; but this is balanced out by the fee structure promoting effective risk management by those traders. There is capital protection at the account level, but not at the trader level. The smaller pool of traders to choose from is still fit for purpose and some of the high profile traders have a reputation for generating healthy, low-risk returns. Ayondo’s growth over the last ten years means it’s being made available to more traders and we’d recommend trying it out. We came away from the review with the feeling that Ayondo is looking to help users make money, but also considers how to balance that aim against the risks to the downside.